Peter Pete Sr. was developed by Walt Disney (who was the character’s original voice) and Ub Iwerks. 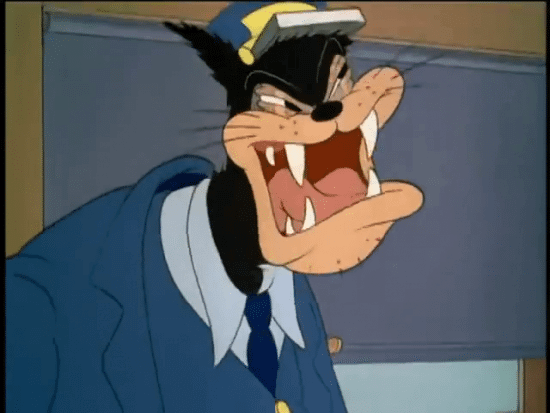 This large overbearing villain actually predates Mickey Mouse, having first appeared in the 1925 Walt Disney Alice cartoon: “Alice Solves the Puzzle,” known then as “Bootleg Pete.” This menacing bear (as he was first conceived) appeared in several of the Alice comedies and was also the go to villain for many of the Oswald the Lucky Rabbit cartoons. 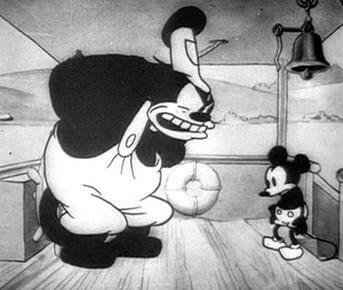 By the time he appeared in Mickey Mouse’s debut cartoon, big burley Pete was drawn as an overbearing cat, captain of the boat in “Steamboat Willie” (though in that short he was called “Terrible Tom.” By 1930 the black cat had earned the name of “Peg Leg Pete.” He would go on to be the heavy in numerous Mickey Mouse cartoons as well an antagonist in many Donald Duck, Goofy and Chip ‘n’ Dale features. Not always a ‘true’ villain in several stories (assuming the role of Drill Sargent in many of the WWII Disney Cartoons, and playing a criminal in other stories, for example) he would end up us merely a gruff antagonist instead. Over the course of these films the prolific Pete would go by several nick-names: Big Bad Pete, Bootleg Pete, Dirty Pete, Mighty Pete, Pee Wee Pete, Peg Leg Pete, Pistol Pete, Sneaky Pete and Piston Pete. His likeness, as Black Pete, would be the mascot of U.S. 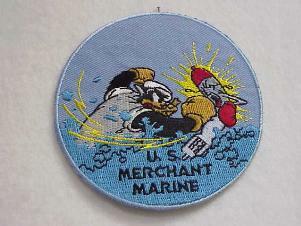 Merchant Marine during World War 2. Peter Pete, Sr. can also be seen on the small screen, again as the antagonist/villain, in such Disney television shows as “DuckTales,” “Goof Troop,” and “House of Mouse.” Mr. Pete Sr. went on to appear in “Mickey’s Christmas Carol” as the ghost of Christmas Yet to Come; and in both Goofy movies (albeit not as a villain). The overgrown cantankerous cat’s cameo in “Who Framed Roger Rabbit” is easy to miss as the scene is packed with cartoon icons appearing right before the movie’s ending. 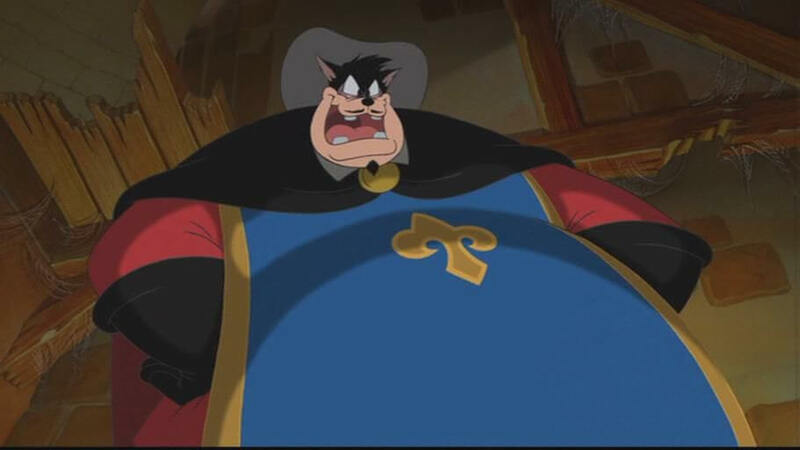 Assuming the role of captain of guard, Pete is the primary bad guy in “The Prince and the Pauper.” Peg Leg Pete is also somewhat of a vocalist, having a shared in the “It’s Our House Now” (“Mickey’s House of Villains” direct to video movie) and singing his own song in “Petey’s King of France” (“the Three Musketeers” another direct to video feature). Big Bad Pete played the heavy in all three editions of “Disney’s Magical Quest” as well as six versions of the popular “Kingdom Hearts” series. This venerable, versatile (sometimes) villain has been a staple in Disney’s stable of characters. He’s been a bully boss, outright bad guy and also a best friend and confidant. Having transcended all three eras of Walt’s work, he’s worked alongside Alice (from the Alice comedies), Oswald Rabbit AND Mickey and company – Peter Pete Sr. holds a rare spot in the hall of villains. The gruff guy has been voiced by Walt Disney himself, Billy Bletcher, Will Ryan, Arthur Burghardt and (currently) by Jim Cummings. For a 92 year old cat, he still looks pretty good. If anyone asks me, I sometimes hate Pete for being a troublemaker. My least favorite version of him is his appearance as the Ghost of Christmas Future. And that makes me want to blow his head off. My second-to-least fave counterpart Pete is his appearance in The Prince and the Pauper. Boy, does he make me want to kill him? As for other versions of Pete that I dislike, I hate him for being abusive to his son, PJ, who I’m similar to in that I’ve been mistreated a lot by my dad. And so, I wish that PJ got back at him and gets rewarded for it. But my favorite version of Pete is the one in Mickey Mouse Clubhouse because it’s his friendliest version. Of course, I can’t stand those who that counterpart of his. Then again, I like heroes and dislike villains. I hate those who like Pete. And how’s he not a villain? Haven’t you seen his behavior? In kingdom Hearts Pete gets called useless by Maleficent and then his gets all sad.